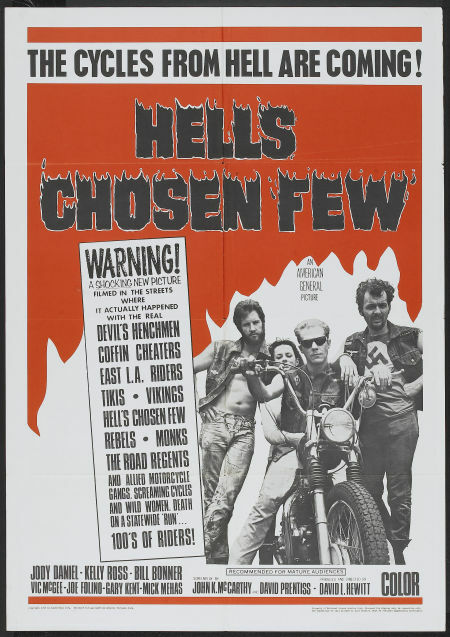 Hell's Chosen Few (1968, USA) is a Biker film directed by David L. Hewitt. The cycles from hell are coming! This page was last modified on 15 May 2018, at 14:03.